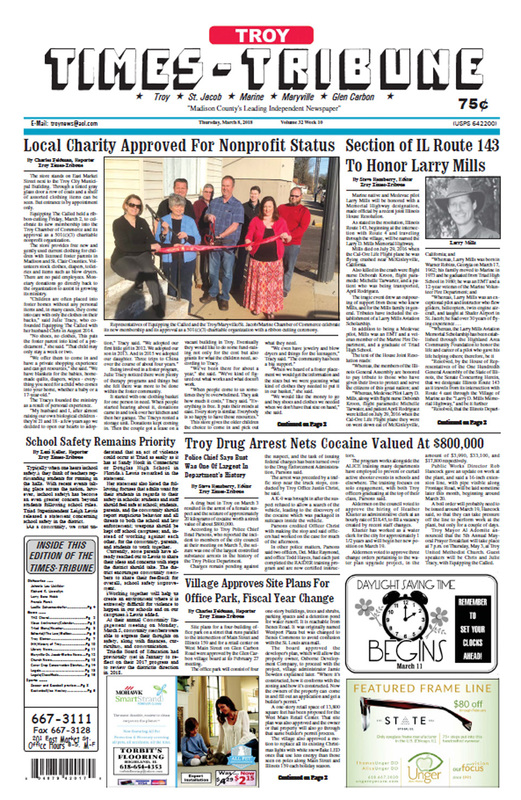 The March 8, 2018 edition of the Troy Times-Tribune is available. 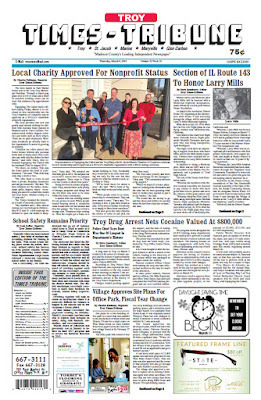 Some of the headlines in this issue: Section of Illinois Route 143 May be Named in Honor of Larry Mills, Local Charity Approved for Nonprofit Status, Village Approves Site Plans for Office Park, School Safety Remains Priority, Troy Drug Arrest Nets Cocaine Valued at $800,000, Lady Knights Look to Garner Another State Title, Milano Wins at Sweetheart Competition in South County, Ice Hawks Teams Place First and Second in Blue Note Cup. 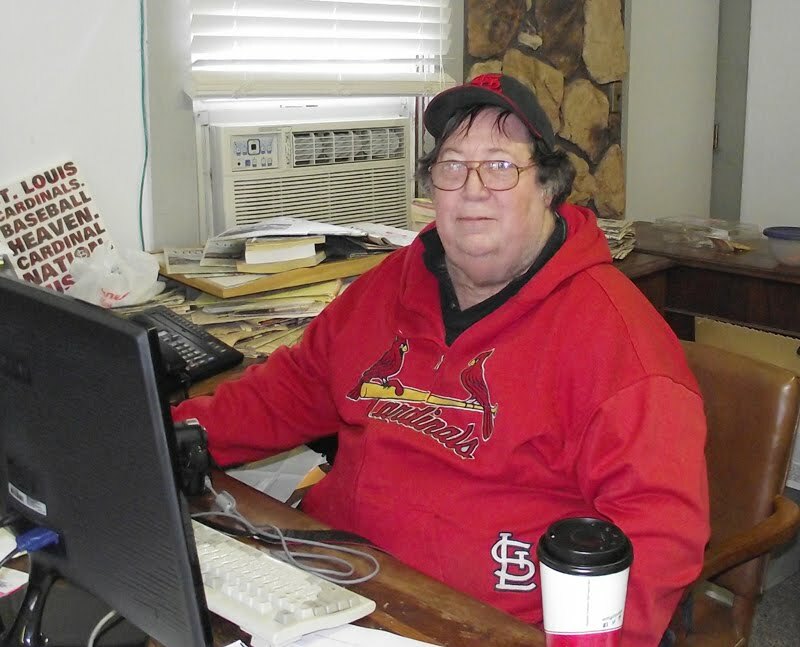 ; plus we have an editor's column, our “It Happened Here” history page, police blotters, news about upcoming events, and lots more!